Well everything motor wise is together, and I think all the bugs have been worked out. I'm just waiting for the car to be tuned. The eTune wasnt working for me so I deciced to take it to have it tuned in person. I cant wait to get my car back from the tuner. 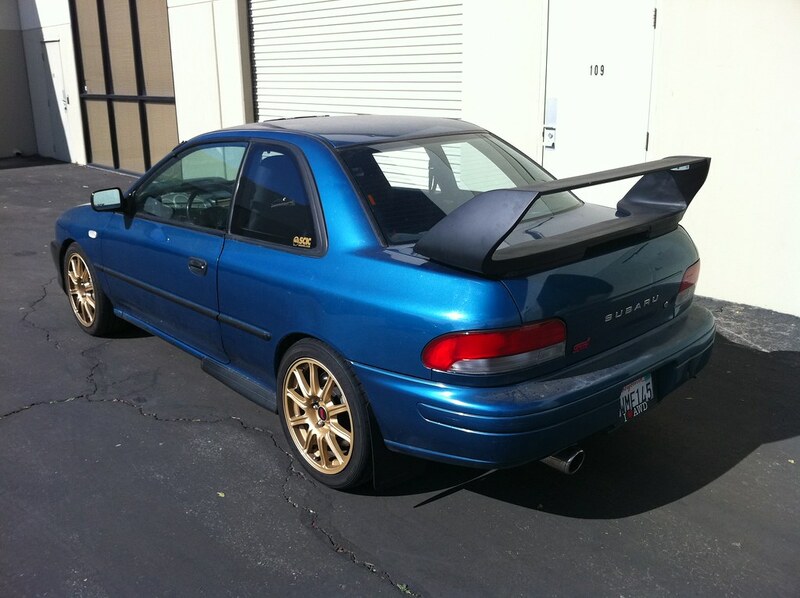 In the mean time I bought a 22b adjustable spoiler from bakemono that I will be installing once I get my car back. Here is another engine bay shot with the engine 100% installed. Last edited by 181stLeader; 01-26-2012 at 10:05 PM..
Nice David! I was gunna bump this thread to see whats new! 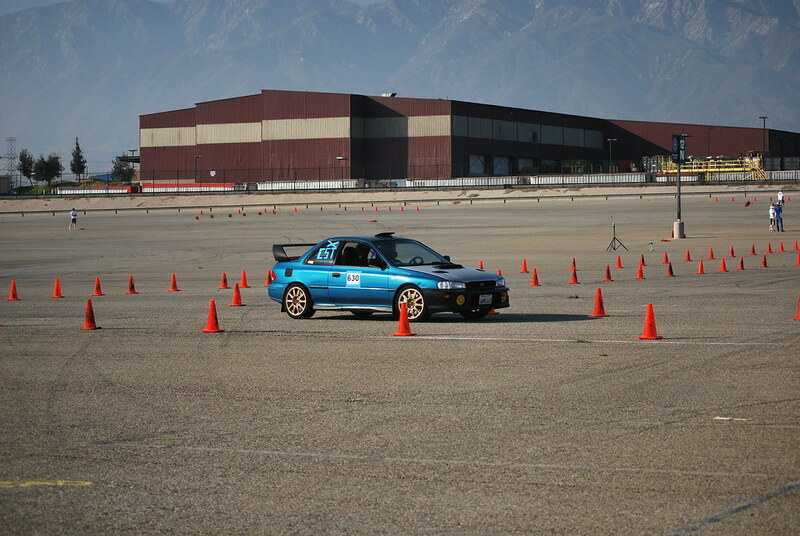 i somewhat did the same extact thing to my gc8... but i dropped in a V8 Spec C motor. if you can see the turbo number and if it says VF36.. then you have a Spec C motor. if it isn't a Spec C motor then it would say VF37. 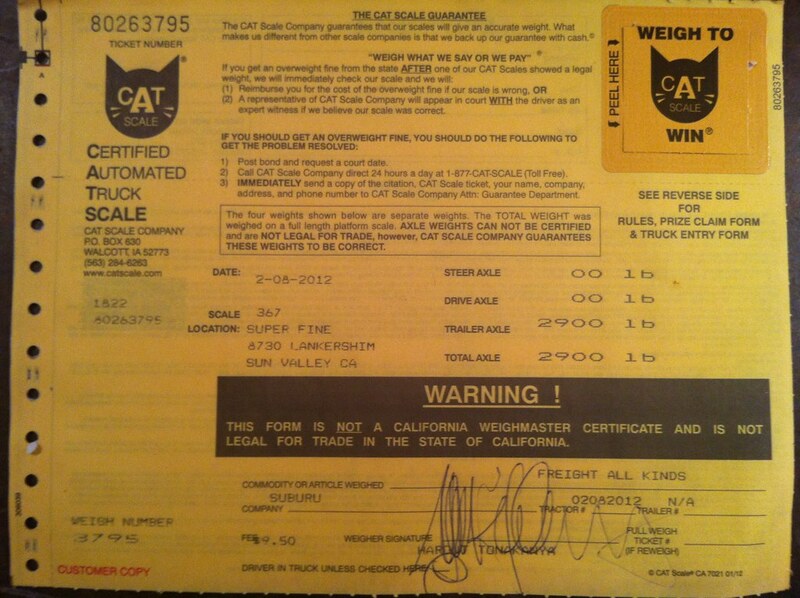 how did it feel before you dropped it off with the tuner? mine isn't tuned yet but it is running at 1.4 bar (20psi) of boost. my car has been running like this for like 4 months now. no knock, no anything... ran a few gymkhana events with it. Its defiantly a regular version 8 sti as I have a vf37 unfortunately. I never got on it. We have crap gas here in California. I think the ej207s require 98 RON or better which is about 94 AKI. We only have 91 AKI here available at the pump(unless you find a station that sells race gas 100 AKI at ~$8 a gallon) so I'm sure it would be knocking tons so a tune was pretty much mandatory for me. So my car was no able to be tuned yet because my DCCD controller was causing the car to lean out because the MAF voltage would drop when the DCCD went to lock. Big thanks to Brian at IWire, he figured out the problem. For some reason the DCCDPro was causing interference when it was grounded to the engine ground. Once we moved the DCCDPro to a chassis ground all was well. IWire FTW! I will be bringing the car back to the tuner on Friday. I cant wait to drive it once its done being tuned. So that's 2900 LBS with a complete STi swap and half a tank of gas. I am missing one door card and the dash but that should be evened out when I get my carbon fiber hood. ^ Thanks Jimmy! You just have to update yours more frequently. I just realized I don't have any pics of my new spoiler, gotta fix that. 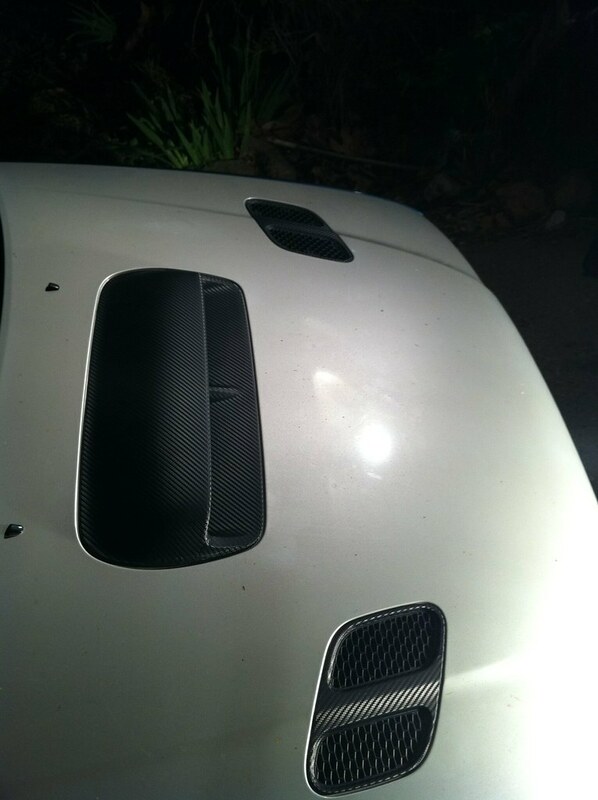 I also decided to DiNOC wrap my hood scoop and vents because fake carbon fiber is a better look than sunburned pealing mismatched green paint. I also wrapped my Type RA roof vent and fuel door since they were mismatched color. I'll post up some pics of them later. I am throwing around the idea of wrapping the whole car myself in the mean time till I can save up for a decent paint job. I'm thinking a satin black. 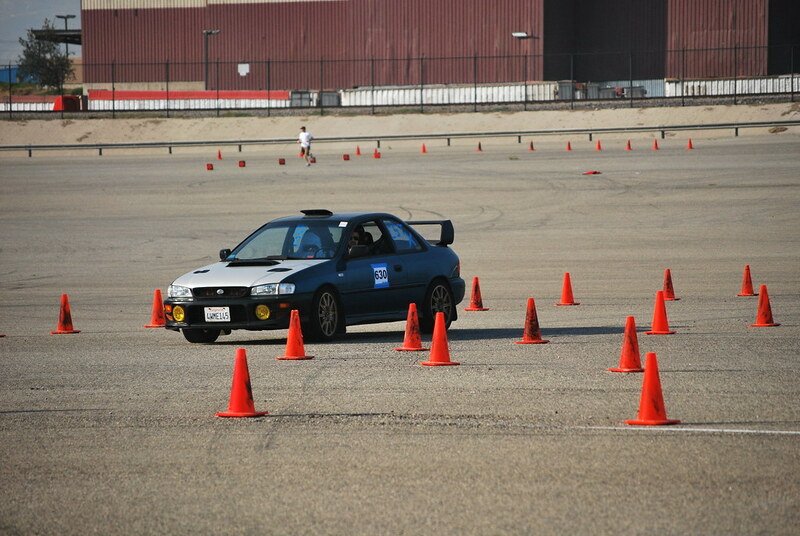 Took my car out to an autox this past sunday fro the first time with the swap. 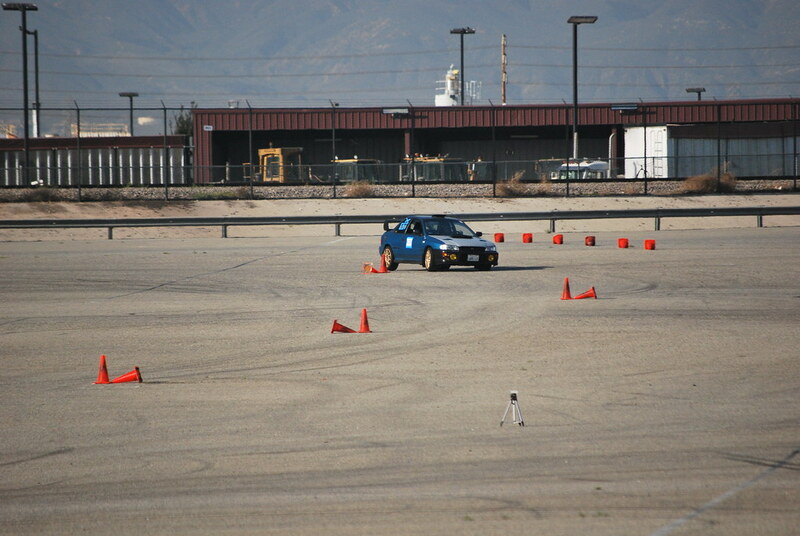 It was tons of fun, I do need some better rubber tho, my sumitomo htr-z III's are not cutting it. I'll be ordering some Dunlop Star Specs here very soon. 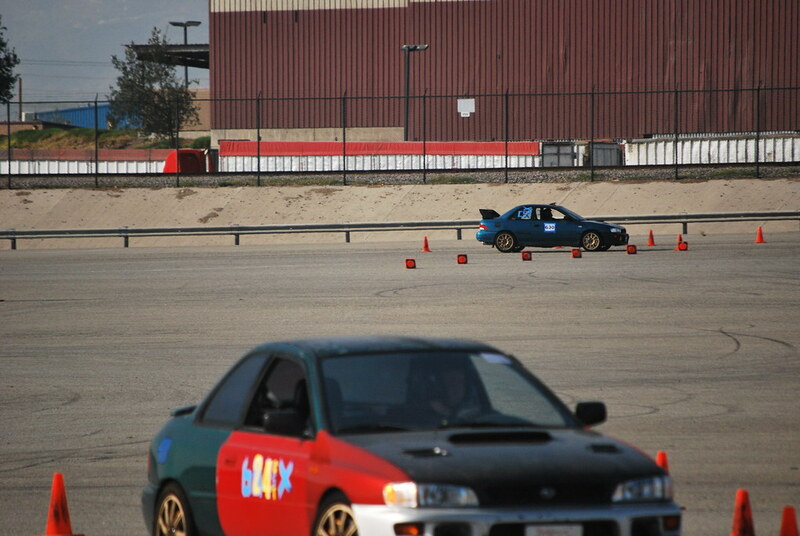 I like this pic, its got me and my friend Jimmy who has the same swap as me in the same year L. This was his first autox with the swap completed in his car too.